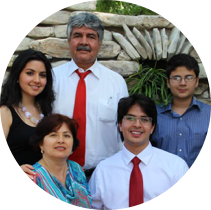 Felipe is currently the pastor of the Church of New Creation in Cancun, Mexico. 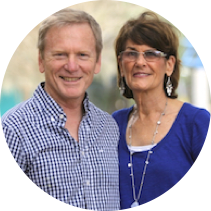 Paddy is located in the United States and makes frequent evangelistic trips to countries over seas. Ivan is very active in ministering to the Bulgarian People. He frequently works with International Team member Emanuel Tinev. Izzi Elliott is a Family Physician/Obstetrician stationed at Bongolo Hospital in Gabon. She oversees the maternity ward which delivers roughly 700 babies a year and the midwifery training program as well as helping out in Medicine and Pediatrics as needed. She has been at her current post since January 2014 and looks forward to many years of service, sharing the Gospel with the Nzebi people of the Ngounie region and the many others who travel great distances for care at the hospital. Richard Fuentes is a church planter, for many years was serving in Young Life Estelí. He was a member of the Presbyterian Church of Estelí Shalom founded by the missionary Emerson Wilson and his wife Martina W.
June is currently serving in Central America. We have been involved in theological education for many years, focused in practical theology. We are helping in the develop of Juan Knox Seminary in Argentina and other Latin Américan countries under Dr. Woody Lajara’s mentoring and leadership. We are helping two churches in revitalizing strategies and its ministries to achieve a better missional performance. We call our ministry The 8-32 Movement, because Jesus said, "Ye shall know the truth, and the truth shall set you free." (John 8:32) As a truth-driven ministry, The 8-32 Movement's vision is to produce change agents in the Brazilian and African university, marketplace and church via the bold, deep and urgent exposition of the Truth (John 8:32; 14:6). Like the Apostle Paul, "We can do nothing against the truth, but only for the truth" (2 Corinthians 13:8)! 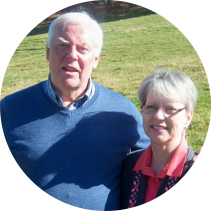 Experienced missionaries Bill and Gale are called to support the Lord’s work in the spiritually needy country of France, where less than one percent of the population is evangelical Christian. Our passion is to draw these people into a true and loving relationship with Jesus Christ. That is our work here in Peru. 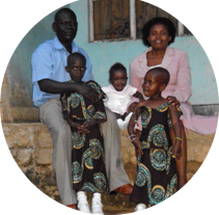 John is part of the PEF Uganda Team. This evangelistic effort was started by Archie Shelor. The other members are: Godfrey Tigalawana, Peterson Taban, Moses Othenio, and Joseph Lasuba. Jacob has a Muslim outreach ministry in Jos. He and his team use music to share the Gospel with others. Martins is leading a Reformed church plant (Pārdaugava Reformed church) that was launched in summer 2016 in one of the areas in Riga (the capital of Latvia). The ministry involves regular preaching during the weekly worship services on Sundays; leading small group Bible studies both for students and professionals; general oversight of the ministry; personal discipleship. 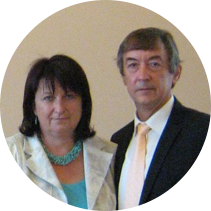 Jean works with Bible for Russia, helping with missions trips across Eastern Europe. Church planting to four denominations (PCA-Great Plains Gathering), Presbyterian Church of Bangladesh (PCB), Turkish Protestant Reformed Church (TPRK), International Presbyterian Church (IPC). Guillermo and Jennie Salinas are serving our Lord in Zihuatanejo/Ixtapa, Guerrero, Mexico. Since 1995 they have been actively planting churches and have been used by God to plant 5 churches in the Zihuatanejo/Ixtapa area. 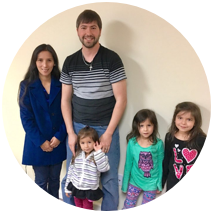 Guillermo is an ordained minister with the PCA with a Masters in Divinity and a Masters in Missions from Birmingham Theological Seminary. They have three sons and three grandchildren. Ministry in Brazil, City of Sao Carlos, State of Sao Paulo, 235Km from Sao Paulo CityPopulation in Sao Paulo 20 million. (3rd largest city in the world) Sao Carlos, a city with a pop. of 275,000, 3 major universities, 35,000 out of town students.Ministry for the last 12 years has been with Presbyterian, Baptist and Methodist churches all over Brazil.Ministry of teaching, preaching and exhorting the local churches. Also support to new planted churches, radio ministry, and homes for the elderly. 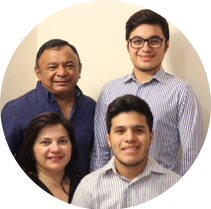 Pedro is involved in Cali & other parts of Colombia training and Discipleship. He preaches, teaches and is in involved in multiple projects. Emanuel is apart of the ministry in Bulgaria with Ivan Dimitrov and Kyryl Mitciv. Luke and Leanne are involved in medical and agricultural ministry. Luke is helping introduce animal traction and shallow water wells, helps with the hospital maintenance and repairs, and works with the local evangelism team. 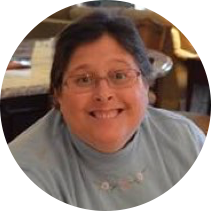 Leanne directs and teaches at the nursing school and is involved in women’s ministry. Emerson is an Evangelist-Preacher, he is the President of the New Denomination called PCN - Presbyterian Church in Nicaragua which consists of FPC Shalom, PC Saving Grace & PC El Shaddai. He is also the Director of the PCN New Church Planting Program to plant 10 church in Five Years throughout Nicaragua. 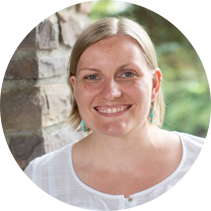 Martina is an Evangelistic Worker, the director of the TFCA Pre-School in Esteli, Director of PCN Spiritual Retreats, Seminars & Training of PC Women and Children. 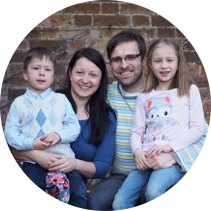 ​Benjamin is serving in the south east of England at Bury St. Edmunds Presbyterian Church, a congregation of the Evangelical Presbyterian Church in England and Wales (EPCEW). The congregation at Bury St. Edmunds is a small congregation centered around the Word of God and biblical worship with a thriving work of outreach into their local community! The church is also thankful for the opportunity to regularly welcome U.S. military personnel from the nearby U.S. Air Force bases at RAF Lakenheath and Mildenhall. Benjamin's work includes weekly preaching, regular outreach work to adults and youth as well as involvement in pastoral care.